Chimps can hunt with tools, but why doesn’t it happen more often? You’d think we’d know a bit more about our closest living relatives in the animal kingdom – but we’re still making surprising discoveries about chimpanzees, whose genome is about 96 percent similar to ours. While its been known for over a century that chimps are capable of making tools, it turns out that in the last few years, at least one particular tribe of the primates located in Senegal. Back in 2007, anthropologist Jill Pruetz first reported that the savanna chimps at her research site in Fongoli, Senegal, had begun using tools in order to hunt their prey. While this discovery on its own was a startling find, as Pruetz began studying them more in depth, she learned that the female chimps were the predominant hunters in the group who took up the tools. Due to the small sample size many dismissed the findings but Pruetz, who teaches at Iowa State University, set out to learn more. Along with her researchers, she documented well over 300 different tool-assisted hunts. This also comes on the heels of evidence that a number of primates are also capable of migrating for long distances, during which they call out to their companions to signal changes in direction. The researchers’ results were published this week in the latest issue of the journal Royal Society Open Science, and are supportive of Pruetz’s initial discoveries – that when they hunt, the female chimps will use tools more often than males will. Although adult male and female chimps will often hunt side by side, the males typically capture their prey by hand. Researchers, however, have observed that both the male and female chimps have made use of tools, but that in over half of the hunts – 175 versus 130 – the tools were used by females. Despite the fact that males made up roughly 60 percent of the hunting group, only about 40 percent of the hunts using tools were done by the males. Although the sample size was small, Pruetz suggests that there’s likely a great deal of diversity to be found when it comes to chimp behavior – factors that could easily change depending on the environment in which they’re found. The targets of these hunts for the chimps, both male and female, were typically galagos, also known as bush babies, in the tool-assisted hunts. They’re a more primitive, nocturnal species of tree-dwelling primates. Their cries sound similar to human infants and they mark tree branches with urine, allowing them to sniff out and land on the same tree branches each time. According to Pruetz, the chimps are capable of fashioning spear-like tools that they use to jab at the animals when they spot them lurking within the cavities of trees at night. 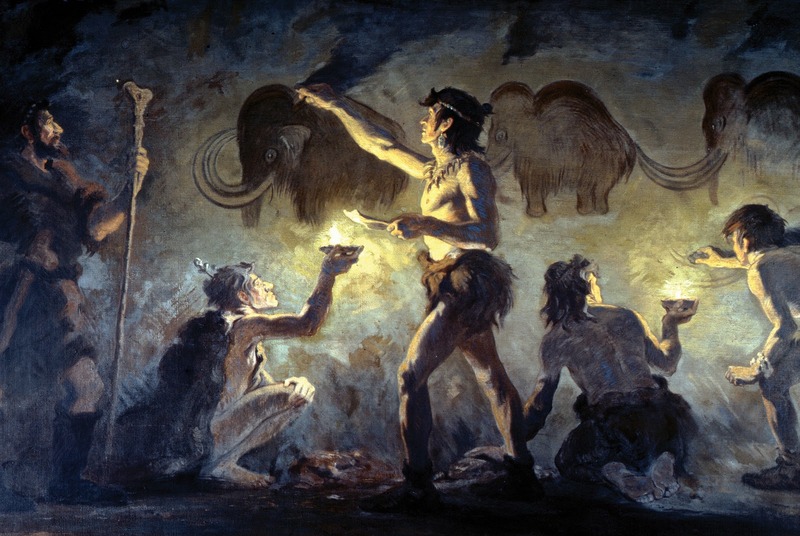 She suggests that this observable difference between how the genders hunt is that the males tend to be more optimistic when finding their quarry. “What would often happen is the male would be in the vicinity of another chimp hunting with a tool, often a female, and the bush baby was able to escape the female and the male grabbed the bush baby as it fled,” Pruetz said. Another significant question is why are only the savanna chimps found in Fongoli the only known population of non-humans that routinely stalks prey using tools. Some South American marmosets have been known to fish for clams in the Amazon and break the shells open with rocks – a learned behavior that the adults pass to their offspring, but these chimps design tools specially for the occasion. So what’s the reason? Pruetz says maybe it’s the wrong one to be asking. Instead, we should probably be asking why the chimps at other sites are not using this technique. It’s prossible that they don’t simply because that they never learned the technique, she said. Tool hunting could be the product of a gradual social tolerance that has not yet developed at the other chimp sites. Perhaps if there were a greater population of chimps, living in larger societies, they would have advanced to this capacity. The environment could be another important factor. Pruetz noted that there was a lack of red colobus monkeys, the preferred prey for chimps found at other sites, largely due to the dry conditions found at Fongoli. The bush babies are more prevalent instead at Fongoli, and other types of prey that the female chimps are able to access with the use of tools. Pruetz, who is a National Geographic Emerging Explorer, has often been asked why the female’s use of tools is considered an attribute of hunting rather than one of gathering. This is a question that is reflective of the stereotypes associated with the behavior of female chimps. 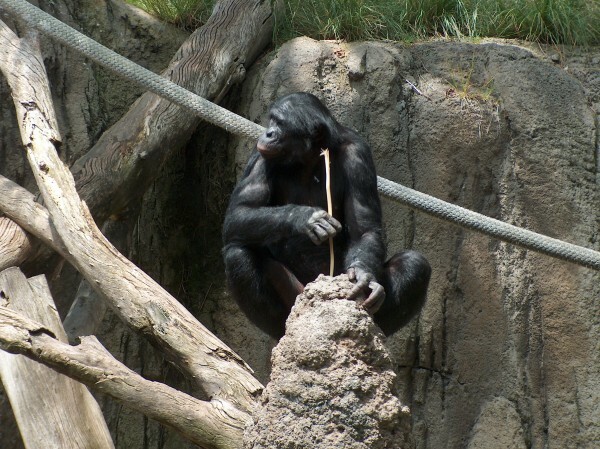 Chimps were first seen using sticks to “fish” for termites back in the late 19th century, but according to Pruetz, the comparison between catching ants or termites with a stick and tool-assisted hunting are superficial. The behavior of the prey and effort required by the hunter is different. Although a bush baby may be smaller than and not as fierce as a red colobus monkey, Pruetz maintains that this is really no different than humans preferring to hunt doves rather than deer. Ultimately, the tool-assisted hunting allows the female chimps, which could be less likely to run down their prey, access to a nutrient rich food source, according to Pruetz.